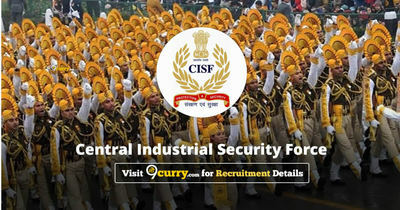 CISF Admit Card 2019: Below are the admit cards published by CISF - Central Industrial Security Force / cisfrectt.in. The recent Admit Card issued for the recruitment drive is Constable Driver Admit Card 2019. CISF Constable Driver Admit Card 2019: Central Industrial Security Force has issued the Admit Card on 01 Feb 2019 for CISF Constable Driver Exam 2019. CISF Constable/ Fire 2017 Medical Exam Admit Card: Central Industrial Security Force has issued the Admit Card on 10 Dec 2018 for CISF Constable/ Fire Exam 2017. CISF Constable Tradesman Medical Exam Admit Card 2018: Central Industrial Security Force has issued the Admit Card on 14 Nov 2018 for CISF Constable Tradesman Medical Exam 2018. CISF Constable / Tradesman Admit Card 2018: Central Industrial Security Force has issued the Admit Card on 12 Jul 2018 for the CISF Constable / Tradesman Exam 2018 which is scheduled to be held on 15 Jul 2018. CISF Constable Admit Card 2018: CISF has issued the Admit Card on 12 Mar 2018 for the exam which is scheduled to be held on 14 Mar 2018 to 10 Apr 2018. Constable Tradesman Admit Card 2017: CISF has issued the Admit Card on 16 Dec 2017 for Constable Tradesman Exam 2017. Admit Cards for PST/ PET/ Documentation/ Trade Test of Constable Tradesman-2017 are available for download. Candidates can download it after logging in their account.